1. 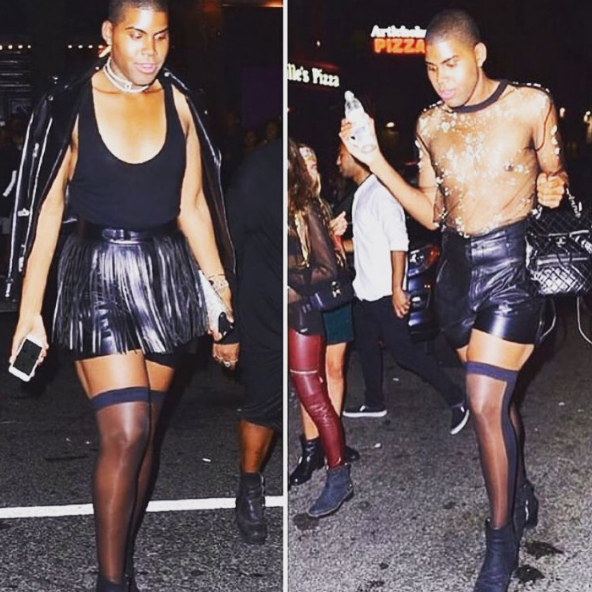 What does “rich” mean – It is no secret that EJ Johnson, the star of E! Entertainment’s “Rich Kids of Beverly Hills” is…well…rich, but just how rich is he? As the son of “Magic” Johnson (who has a reported net worth of something around $500 million), EJ is said to be worth substantially less. Around two million at this time. 2. Looking good…feeling better – In 2015, EJ announced to the world that he had succeeded in shedding over 180 pounds. Saying he felt like a new person, he admitted that he had relied on gastric bypass surgery to achieve such dramatic results in a short period. In an interview with Us, he said that he had completely changed his diet and even his view of food. He works out four times per week and says he is now much more vigilant about fat and sugar. 4. He is getting his own show – No longer limited to being one of the “rich kids”, EJ was given a spinoff and will appear in “EJNYC” which premiered in June 2015. The city in the series is New York, but it will also spotlight EJ and his gang of friends as they go from coast to cost. 5. He wants to be a matchmaker – In June 2016, EJ decided to host a matchmaking party to find mates for his good friends, and maybe for himself. He was able to match up everyone and create very entertaining television along the way. Described as having a fierce fashion sense and a huge personality, this impressive young man is a distinctive personality in his own right. Never riding on the coat tails of his father’s success, he has set out to create an original career and independent success story. He has become an inspiration for many with his safe and effective weight loss, his wild and over the top fashion, and his openness about his transformation and his personal life. As a privileged rich kid, he never comes across that way, and instead has garnered a huge fan following. Be sure to catch the first season of “EJNYC” to enjoy his larger than life personality and fun spirit.